The 68th Annual MRCA Conference and Expo will be held October 16 – 18, 2017 in St. Louis, Missouri. This event will be held at the America’s Center Convention Complex located in the heart of a revitalized downtown St. Louis. Current city renovations through the $380 million CityArchRiver Project and an additional $5 billion investment has transformed the Gateway Arch grounds to seamlessly connect it to the Mississippi River, restaurants, museums, entertainment venues and a new hospitality district that continues to grow. 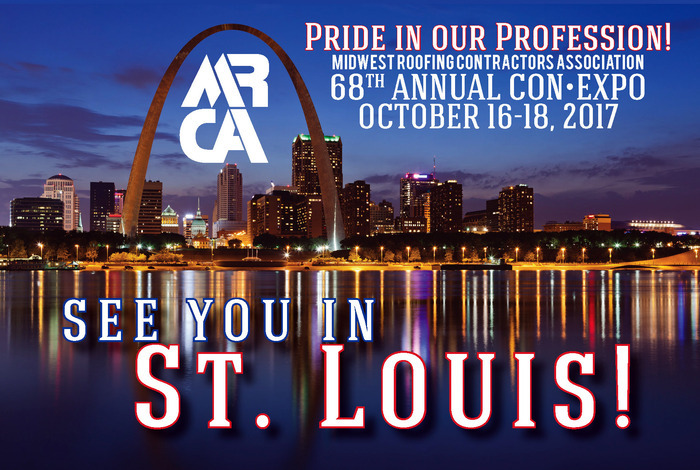 MRCA will be your guide to celebrating the Pride in our Profession as we Discover St. Louis at this year’s event! Don’t miss the great new Conference format, the excitement of the Expo floor, and all the MRCA tradition and camaraderie that you’ve come to know and love! St. Louis is a vibrant, growing city and we can’t wait to see you in Missouri!